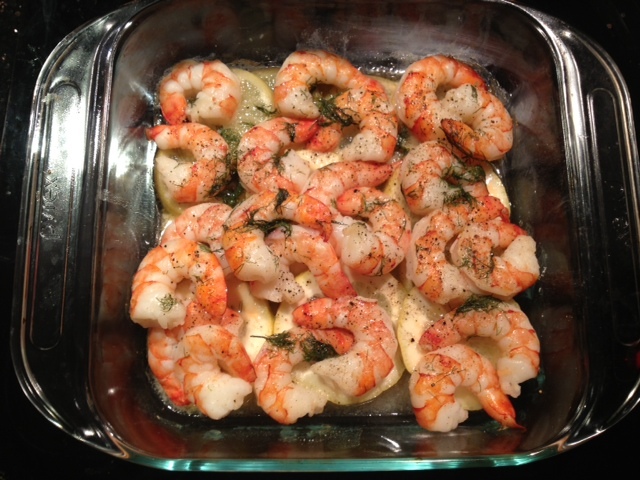 Baked Shrimp With Lemon & Dill. 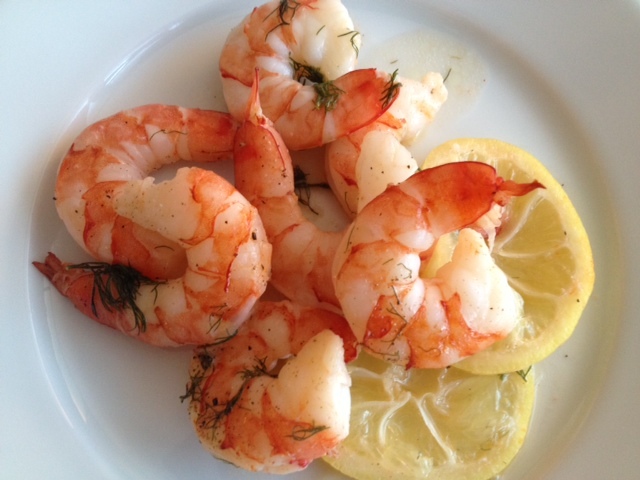 This is a simple, healthy recipe that’s perfect for a quick weeknight meal. 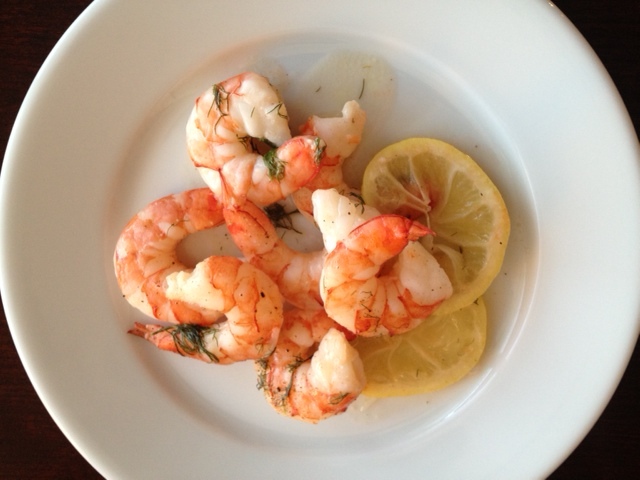 It’s not only gluten-free, but also dairy-free, using an olive oil based butter spread. 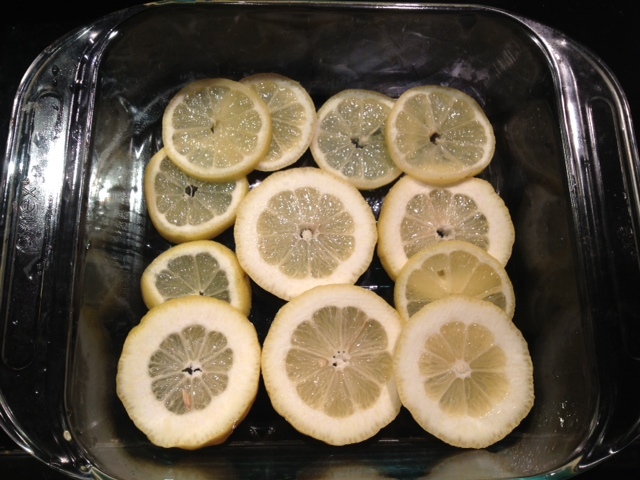 This could be eaten with veggies, rice, pasta or even on a salad. 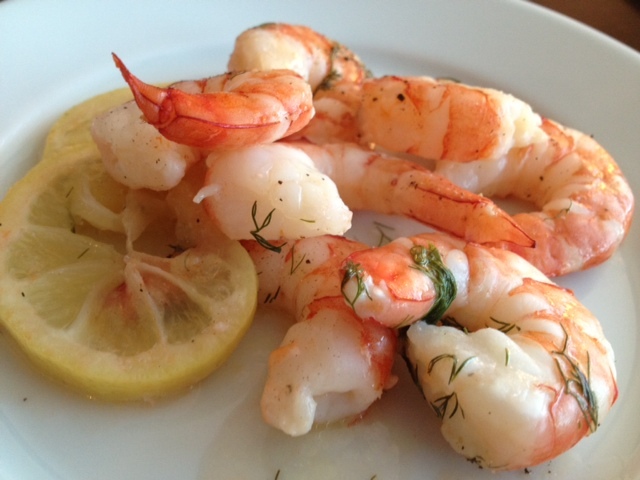 The flavors are light and tangy—perfect for summer! 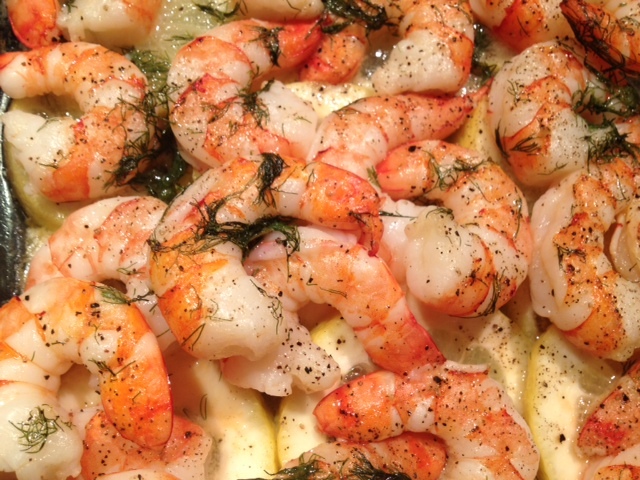 Line the bottom of a baking dish with the lemon slices and place the shrimp on top. 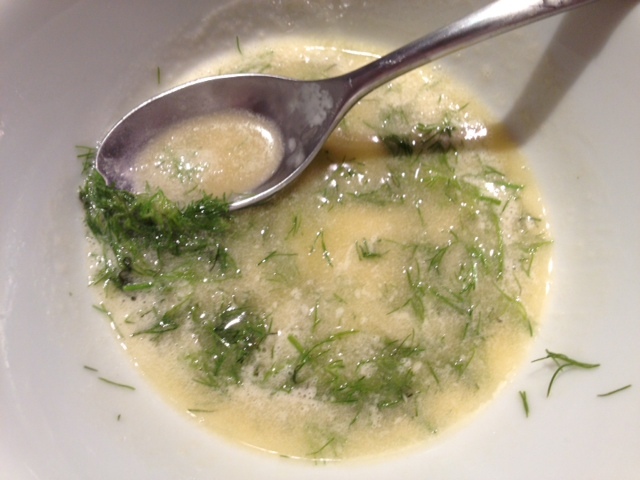 Melt the Earth Balance in the microwave for about 20 seconds and stir the dill into it. 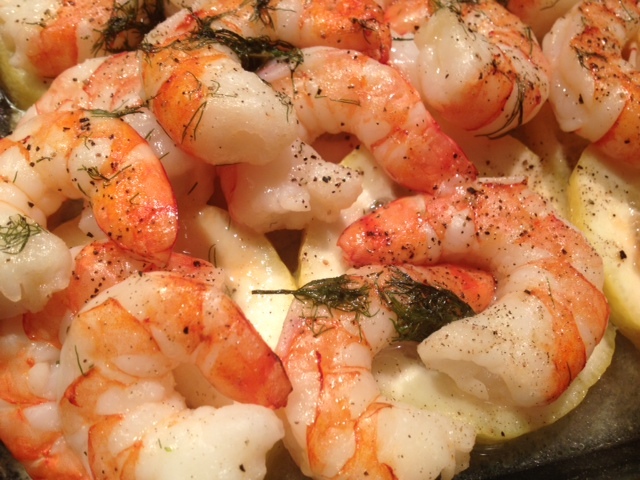 Pour this mixture over the shrimp evenly and season with a dash of garlic salt and black pepper. 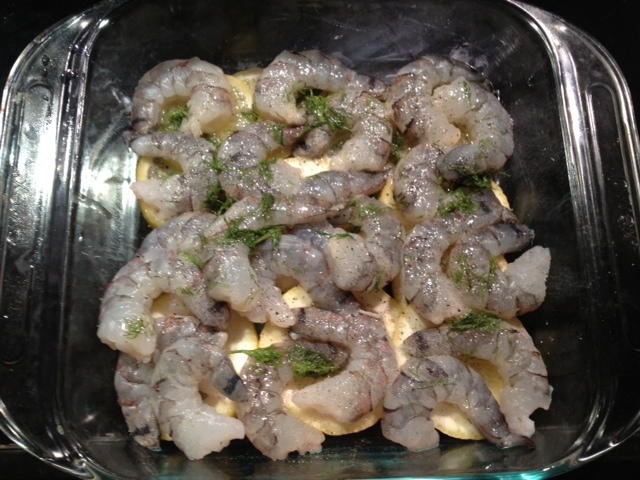 Bake the shrimp in a 350 degree oven for 30 minutes.